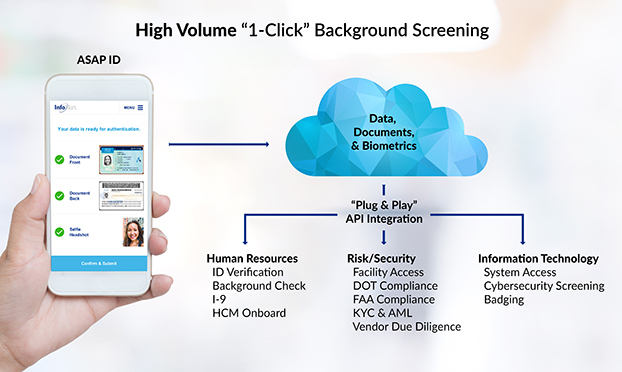 InfoMart’s ASAP ID directly responds to the problem Glassdoor recognized at the end of 2017 with a mobile application that authenticates identity and onboards a candidate to an HCM. Candidate uploads a driver’s license like depositing a check in a banking app. ASAP ID authenticates the government ID and captures the candidate’s identifying information. Candidate uploads a selfie and the app biometrically compares it to the picture on the government ID. The information from the ID is captured and populates into any HR or security system. The verified information can be used for anything from HCM onboarding to badging. The government-issued identification documentation (and the verified data captured in the process) automatically initiates a background check. The entire process is mobile-friendly, allowing applicants to verify their identity and request a background check anywhere in the world. Incorporating technology like ASAP ID into your company’s screening program streamlines the onboarding experience and decreases the time-to-hire. Every blog will tell you that AI and automation software minimize the time-consuming mundanity of clerical work, and HR and recruitment are no different. 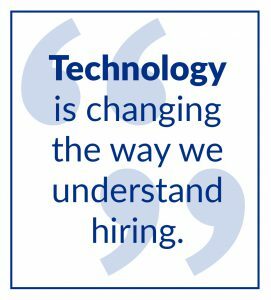 No matter the size of your company, technology is changing the way we understand hiring. New interview solutions from startups such as Headstart App and Canvas re-imagine the hiring process with the assistance of technology. Canvas initiates a text message pre-interview, decreasing the likelihood of unintentional face-to-face bias and allowing candidates who don’t interview well to stand out. Not only does this technology forefront the importance of a positive candidate experience, but it also speeds up the pace of traditional interviews. This is just one example of AI pervading the standard business model. Today’s technology should be cutting recruitment practice times in half. 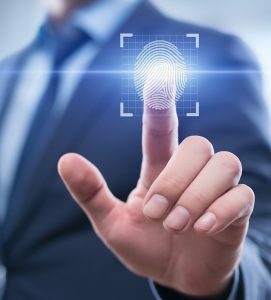 Integrating a similar identity authentication program into your own business plan could be beneficial for your company as well. For a well-established program, take a moment to learn more about biometric identification software, ASAP ID,or request a demo.